Hello BONES fans! How did you like this episode, “The Master in the Slop”? We had murder, mechanical malfunctions, a Canadian, and the possibility of Brennan, Angela and Cam becoming Calendar Girls for science. All of that and more make for a lot to discuss, so let’s get to it. 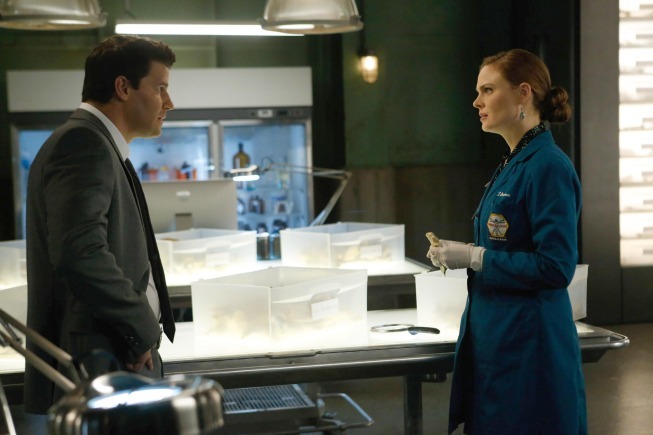 BONES’ January 24th episode, “The Master in the Slop” features the return of Dr. Douglas Filmore, and Sweets showcases a new skill. 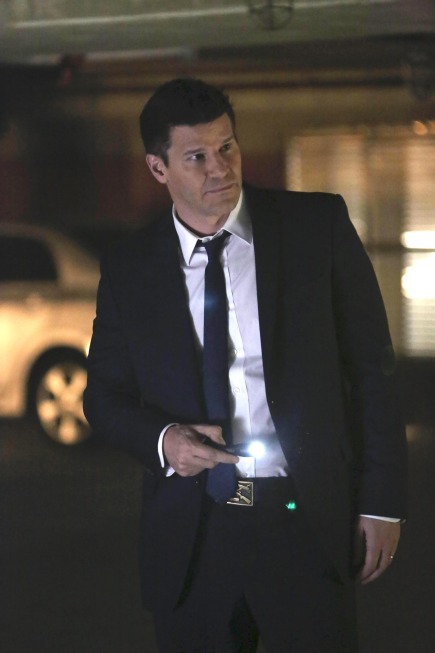 Hello BONES fans! I hope you are having some happy holidays. As you likely know, this episode, “The Spark in the Park,” is the last new one until 2014, and I’m happy to say I enjoyed this it very much. Pardon the gymnastics reference, but first-time BONES ep writer Emily Silver and veteran director Chad Lowe nailed this episode in terms of style, content, and execution. 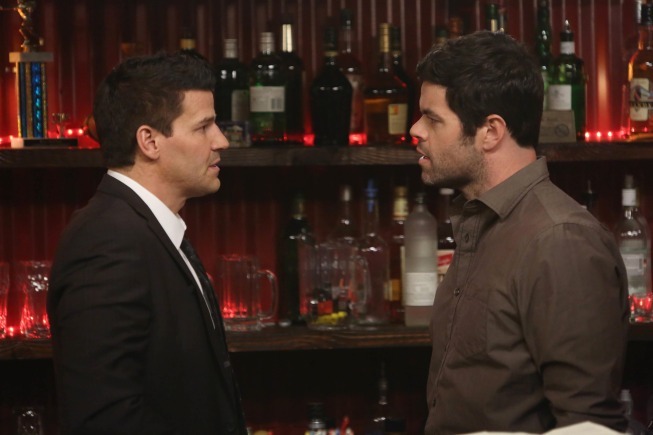 Interestingly enough, it felt like an old episode of BONES — primarily in the way Booth acted, positively and negatively. More on that later, but first, let’s discuss the case.